An open and integrated platform approach, verified first-party audience data and content investment lie at the heart of Oath’s plans to shake up the adtech platform space, its global product technology chief claims. Oath president of adtech platforms, Tim Mahlman, caught up with CMO during a recent visit to Sydney to reveal the group’s modus operandi, what it’s really going to take to bring AOL and Yahoo! together, and how the combined entity plans to carve a deeper etched position for itself against next-generation platform goliaths, Facebook and Google. Oath is the umbrella brand Verizon has created to sit across its wide cluster of 50 brands in the media, Internet portal and ad technology space. The official launch of Oath at Cannes in June followed completion of Verizon’s US$4.5 billion acquisition of Yahoo!. Other well-known brands in the portfolio are HuffPost, TechCrunch, Brightroll, Flurry, Tumblr and Engadget. Verizon acquired AOL in 2015 for US$4.4 billion. Combined, Oath represents more than 1 billion people globally and is headed up by former AOL CEO, Tim Armstrong. In his worldwide role, Mahlman oversees the technology Oath licences for advertising agencies and brands, along with products such as its supply-side platform for publishers, acquired attribution modelling tool, Convertro, and programmatic linear TV product, One:TV. He joined AOL after the ISP acquired his startup, Vidible. Mahlman boasts of more than 20 years in the online advertising space globally with a resume that also includes Klout, Livefyre, elicit, Collective Media and BlueLithium. Earlier in his career, he worked as VP of network sales at Yahoo!, taking charge of the company’s $500 million performance display advertising division. 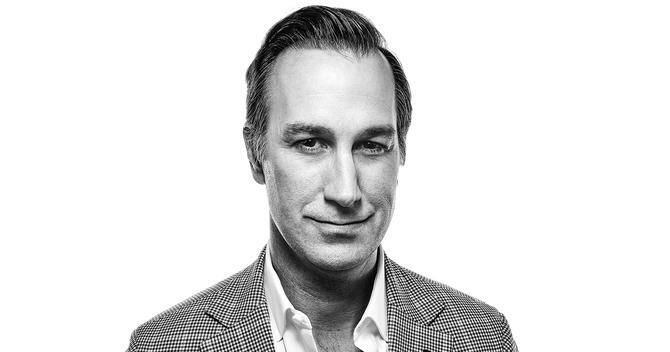 The first thing Mahlman stressed was Oath’s plans to respect its 50-plus brands. “The Yahoo! brand, especially in Australia, is going nowhere,” he told CMO. For one, the group is still committed to its joint venture with Seven West Media on Yahoo7 but will look to enhance the product mix further. “The AOL brands, from a platform perspective, are also not going anywhere in the near term. Yet it’s clear there’s an intention to leverage different components across brands to create a better offering for all. As an example, Mahlman pointed to a deal struck between Yahoo and HuffPost teams that now sees HuffPost content on Yahoo’s homepage. Consolidation is also the objective on the adtech front. The company has built a roadmap to pool technologies offered by AOL, Yahoo and their subsidiaries into one single adtech stack. “The industry has looked at AOL and Yahoo as two competing companies. Yet if you look at both companies from a platform standpoint, there was only about 5 per cent overlap with clients with certain products,” Mahlman said. It’s not an easy task, however. The adtech space is awash with small and large-scale players and an incongruous mix of technologies and feature-sets, making navigation a minefield for vendor and marketer alike. For Mahlman, Oath’s major differentiation point is data. From a first-party standpoint, he claimed the group has a scale and breadth of people-based insight very few can match globally. Yahoo’s approach, for instance, had been built off leveraging first-party data, piled into a centralised data lake that formed the basis of open source big data framework, Hadoop. A resulting product is Yahoo’s Audience Building product, which allows users to create custom segments to then leverage through the group’s demand-side platform. AOL’s data approach meanwhile, has been about performance-based optimisation. “AOL does as well when it comes with our parent company, Verizon. Granted, that’s more of a US-centric point, but in the coming months you’ll see we are starting to build strategic relationships within international offices that will allow the same success we’ve had leveraging that [Verizon’s] data in the US be achieved in other markets,” Mahlman said. Since the Verizon acquisition two years ago, AOL has built the ability for customer hashed credit card data to be anonymised and delivered piped into its DSP to use for ad targeting, Mahlman continued. This has been offered in the US under its ‘Real Audiences’ product, and it’s something the company is now looking to bring to Australia. “I want to leave you with the thought that the next time I’m back in Australia, I’ll be talking about more alliances that enable us to have more first-party data flowing through our technology. It’s what we stand behind and differentiates us from the competition,” he said. Buying on a URL basis is a thing of the past, Mahlman claimed. “Now, it’s about finding the audience, executing against it with as much detail in the data as possible, across whatever sites they’re going to,” he said. “That’s what Oath is bringing to the table.